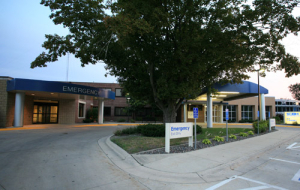 Swift County-Benson Health Services Emergency Department can be accessed easily from circle drive in the front of the hospital on Wisconsin Avenue. It is staffed 24 hours a day/7 days a week by specially-trained emergency professionals. All of our providers and RNs are ACLS (advanced cardiac life support) and TNCC (trauma nursing core course) certified. The emergency department has two trauma bays, three private exam rooms and state-of-the-art equipment and technology. Swift County-Benson Health Services has long been equipped to handle emergencies, but access to a second set of eyes and ears can be beneficial in critical cases. Since June 21st of 2016, the staff at Swift County-Benson Health Services has had immediate, virtual access to a team of physicians and nurses who specialize in emergency medicine with new technology called eEmergency. Patients now benefit from the latest technological advances that expand patients’ access to quality emergency care and pharmacy services, made possible through a grant from the Leona M. and Harry B. Helmsley Charitable Trust. This program gives physicians immediate access to specialists and pharmacists 24 hours a day. Swift County-Benson Health Services has received equipment for two types of eCare: eEmergency and ePharmacy. eEmergency ensures that board-certified emergency physicians and emergency-trained nurses are available to assist local providers in treating trauma, heart attack, stroke, and other critical conditions. ePharmacy provides 24-hour access to hospital-trained pharmacists, making it possible for all prescriptions to be reviewed prior to the patient taking the medication, even when the on-staff pharmacists are not available. “This incredible gift gives local physicians and health care workers an immediate connection to specialty care and pharmacists even if they live in rural areas that have fewer physicians and health professionals,” says Melissa McGinty-Thompson, Chief nursing officer. “this keeps patients close to home during treatment.” We feel that utilizing the services will bring the most medically advanced care to our community and still have the close-to-home care we are known for. It is reassuring to our patients that they can stay here rather than being transferred.